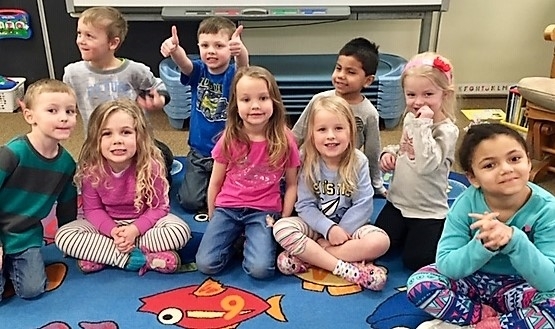 For the 2019-20 school year, a child who resides in a public school district providing kindergarten may be enrolled if the child is at least 5 years of age on or before Sept. 1, 2019. For children who will be 5 by Dec. 1, 2019, parents may enroll their child through written notification to the school district. Appointment required. Parent meeting, orientation and tours. April 23: 9 a.m.-2 p.m. and 4-6 p.m. Please schedule an appointment to observe classroom at any time. April 24 & 25: 9 to 11 a.m. and 1 to 3 p.m.
No appointment required. Parent meeting, orientation and tours. April 26: 8:30 a.m., 10 a.m. and 12:45 p.m.
April 29: 8:30 a.m. and 10 a.m. Appointments can be made, or families may stop by. For more information, contact Rachelle Cook via email or call (231) 548-2261, ext. 1. Appointments required. Assigned times will be mailed. Parent meeting, orientation and tours. April 30: 4 and 6:30 p.m.
April 30: 4 and 6 p.m.
May 8: 4 and 6:30 p.m. Please bring proof of residency and your child’s birth certificate, immunization records and custody documentation, if applicable. If you have questions about enrolling in kindergarten or the events detailed here, please contact the specific district.